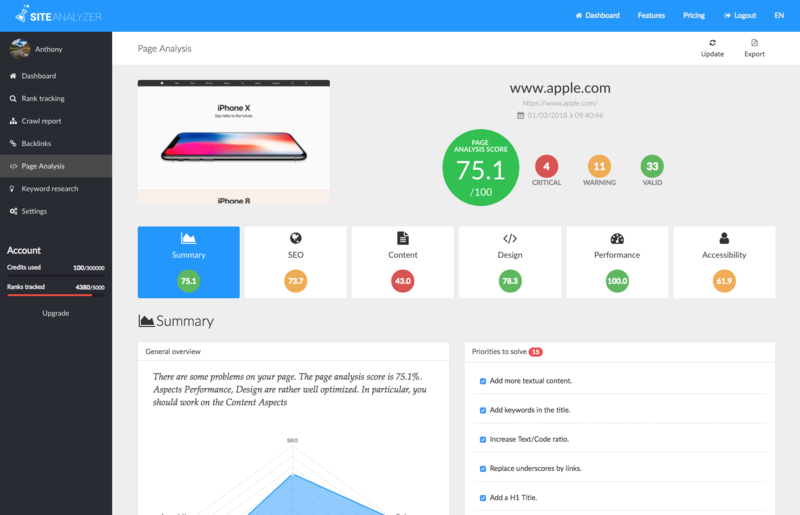 Site Analyzer is the 360° SEO analyzer for any website. 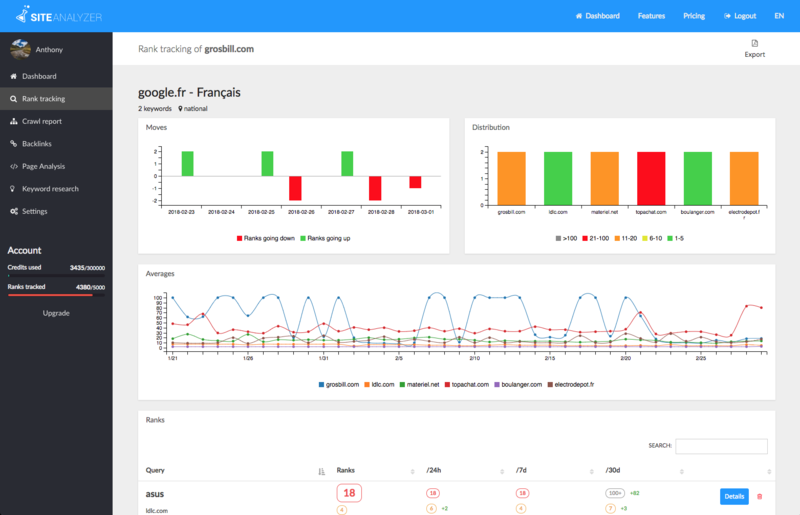 Try it for free and analyze your SEO! 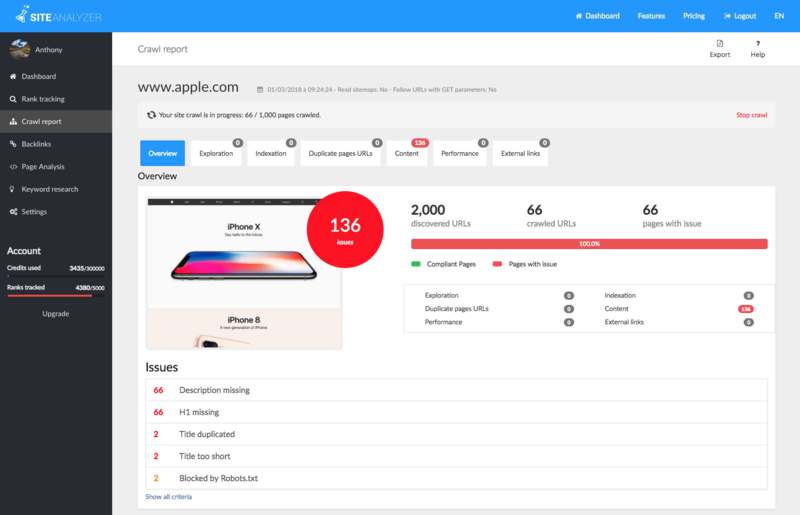 Create detailed PDF reports of your website analysis or of your client’s websites with the option of appending your logo (white mark). Spy on your competitors, anticipate the market evolution and find the ideal niche for your online business. Stop using multiple SEO tools and spending hours generating reports and comparing data from different tools? We gather all SEO data from the best trusted sources, analyze all data and generated easy reports. Check any broken links, indexation issues and duplicate content of a website. Discover your strengths and weaknesses, and easily check if your website can be crawled by search engines. Discover your real position on search engines on different devices as well as in different countries. 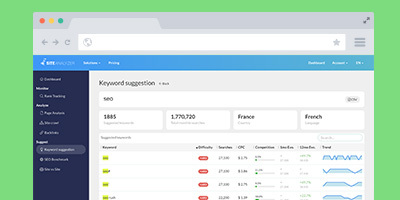 Compare your position with that of your competitors, and automatically and easily track your SEO. Get a list of the most important follow and nofollow backlinks of any URL or domain name. 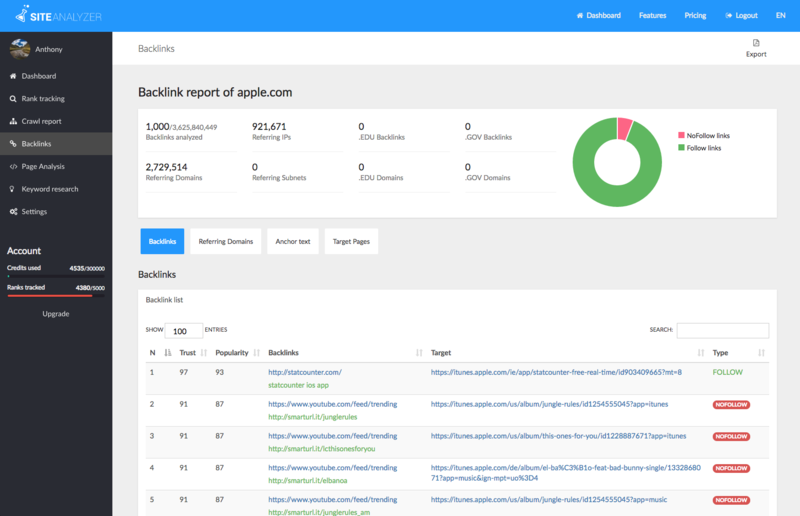 Check your competitor’s backlinks and get an insight into their backlink strategy. 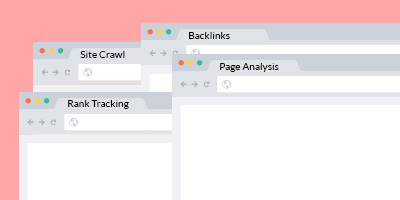 This complete check-up is made up of more than 60 criteria based on SEO, design, content, performance, accessibility and security, and tells you each issue you need to fix to improve your SEO. Discover the queries getting the most SEO traffic to one domain name with details such as cost-per-click, competition, search volume, etc. 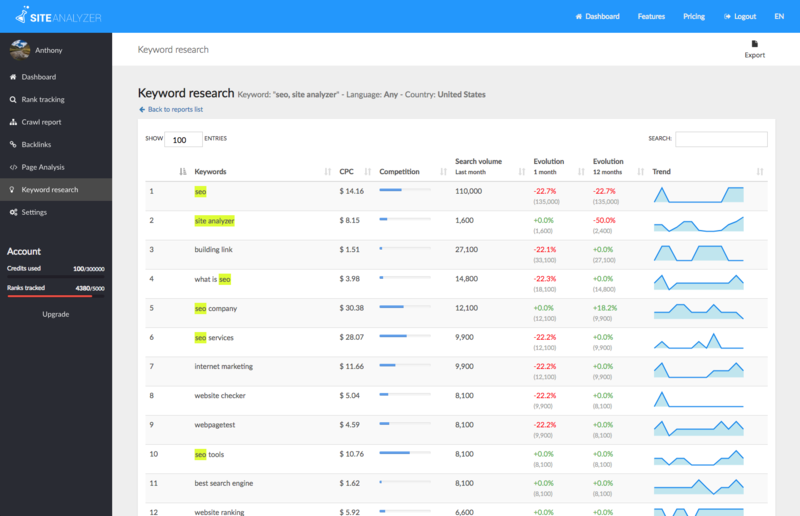 An opportunity to spy on your competitor’s keywords. happy users that trust Site Analyzer. We our clients. 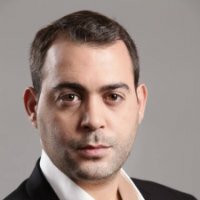 Want to Make the Web better? Try our 14-day trial period now!